Kathleen Odell is an assistant professor of economics at Dominican University’s Brennan School of Business. Her new paper examines major microfinance studies conducted since 2005 and is a follow-up to a 2005 Grameen Foundation report by Nathanael Goldberg which examined studies conducted between 1970 and 2005. Microcredit has been successful in increasing access to capital by the poor but does it actually reduce poverty for the people it intends to help? Join us for a discussion on the effect of microfinance on the lives of poor people. Hear leading experts examine the value of microcredit as a tool for fighting poverty. By the end of the hour, a few things were clear. The most obvious conclusion was that 60 minutes wasn’t nearly enough time to come to any resolution on the question at hand (Does microfinance reduce poverty?) – it was barely enough time to outline the question itself. Having spent the last six months engrossed in the literature on the social impact of microfinance, I anticipated that the discussion might center on some of the latest impact assessment research, upcoming studies, unanswered questions, and possibly the surprisingly incendiary debate about the merits and disadvantages of various impact assessment methodologies. In fact, the panel discussion, and the questions that followed, was largely concerned with the relationship of microloan interest rates, profits, and social impact. Given the venue and the audience, this turn really isn’t surprising. 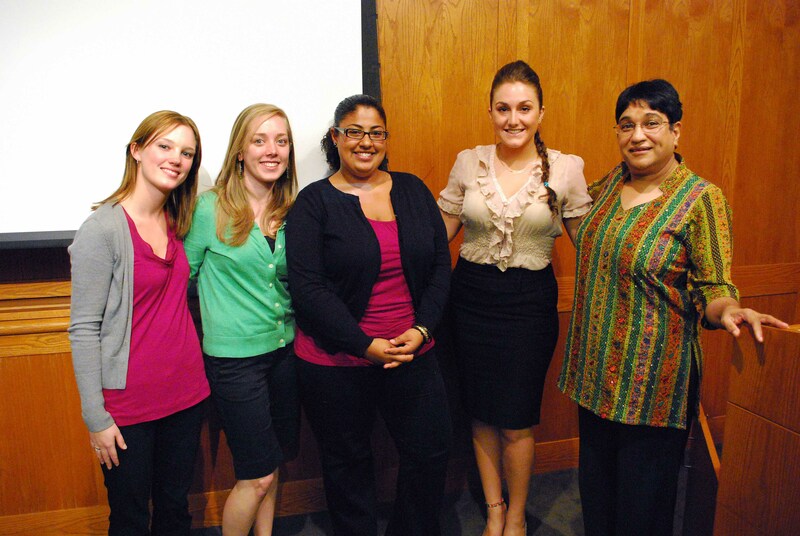 Erin Stahl, Danielle McGee, Lauren LoPinto, and Julie Ruggieri are four students at Fairfield University who worked with Professor Gita Rajan to raise $1,067 for the Grameen Foundation Scholarship Program. During our Women’s Studies Capstone Seminar, not only did we learn about the influence of public policy on society, but we put it into action—locally and globally. 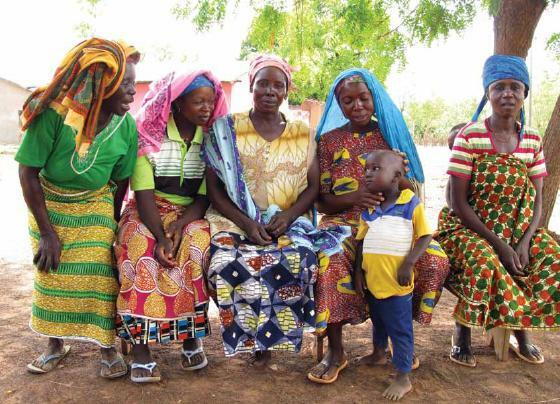 We began our research with trying to understand how gender empowerment models could be sustained over time. After researching gender-focused public policy and its impact on legislation within the United States, we realized the tremendous impact that policies like Title IX and the Adult Education and Family Literacy Act of 1998 have had on the lives and careers of U.S. women. However, we wanted to do something to improve the opportunities afforded to women in developing countries for educational, economic, and social advancement. 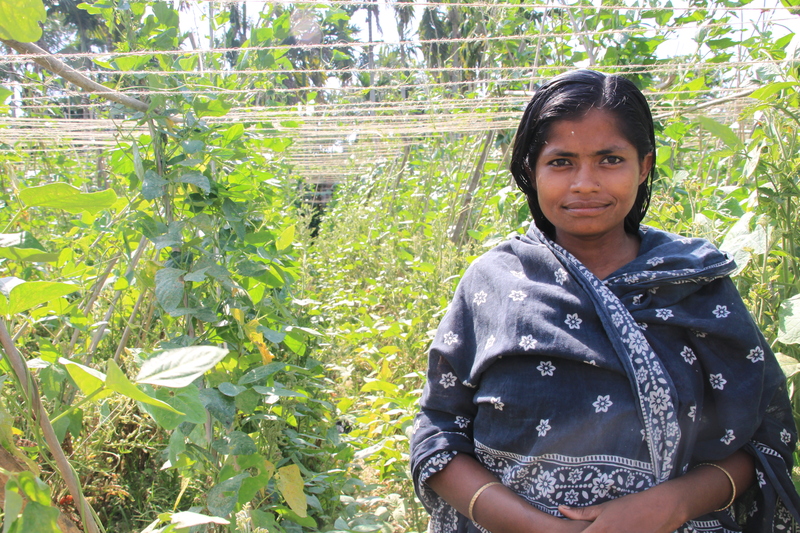 Through our research, we discovered that educating and incorporating adult women in the economy of South Asia is a low priority, so we chose to create a scholarship for a woman in Bangladesh. After exploring NGOs operating in the region, we decided to create the scholarship through Grameen Foundation’s Scholarship Program and to fund a scholarship with Grameen Shikkha, a program GF supports, because we wanted to maintain our strong “acting locally, thinking globally” connection. We also appreciated their concrete focus on educational opportunities. Grameen Foundation has released a new publication by Kathleen Odell, an assistant professor of economics at Dominican University’s Brennan School of Business in River Forest, IL. The debate about microfinance’s effectiveness in reducing poverty and addressing other societal problems, and related discussions about how to make microfinance even more potent, has often degraded into polemics and unsubstantiated claims, and sometimes become very technical in nature. The media and other stakeholders, such as regulators and social investors, have been increasingly confused by conflicting claims about what we know and don’t know. This paper should help to inform these important discussions, which go to the heart of how we think about making microfinance the most effective tool that it can be and how can we set expectations appropriately about its potential and current limitations. This paper is a survey of several significant microfinance impact assessment evaluations released or published between 2005 and 2010. It is an update of a comprehensive impact assessment literature survey released in 2005, which was sponsored by Grameen Foundation and authored by Nathanael Goldberg. In the years since Goldberg’s paper was released, there have been a number of important developments in microfinance impact assessment, making this current survey a much-needed update. The release of a handful of prominent microfinance impact assessment evaluations in 2009 precipitated a good deal of media coverage. Stories published in the Economist magazine, the Boston Globe, and the Financial Times presented the new research with a negative slant, collectively suggesting that microfinance isn’t as powerful an anti-poverty tool as suggested by many of its proponents. These media stories should be read with a healthy dose of skepticism, as even the authors of the research papers cited in the articles have made public statements disputing the oversimplifications and negative interpretations appearing in the press. One aim of this paper is to summarize the results of these new studies, disentangling the media interpretation from the actual findings reported. 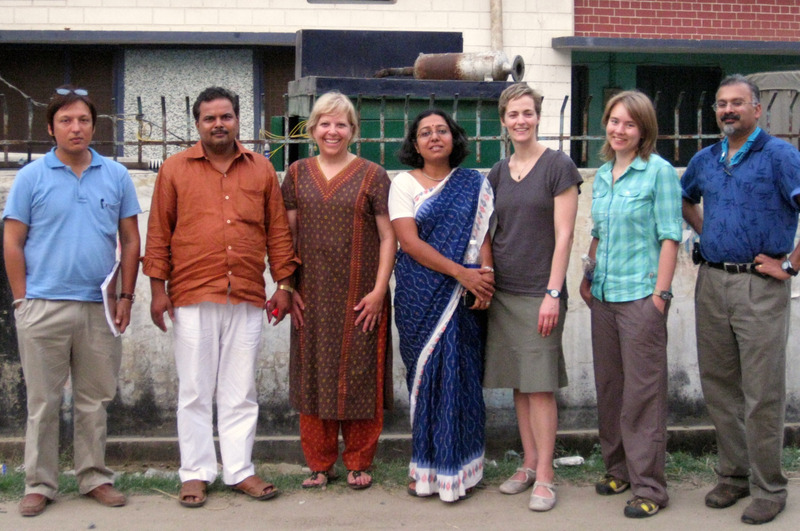 Peg Ross, director of Grameen Foundation’s Human Capital Center team, recently returned from research trip to India. This is part of the Next Generation Leadership Development initiative to help develop the vital middle management level of microfinance leaders. It was already 100°F when we loaded into cars at 6 a.m. to head out to the most rural branch at CASHPOR, a microfinance institution (MFI) based in Varanasi in India’s northern state of Uttar Pradesh. The branch is two hours away, and we stopped before heading out of town to buy a case of bottled water—something we would need to stave off dehydration in this extreme, dry heat. The temperature later climbed to 115°F. CASHPOR was the starting point of a two-week research trip to four diverse Indian MFIs where we hoped to deepen our knowledge of the role of the field operations middle managers from multiple perspectives. Armed with this data, we plan to develop a scalable, replicable leadership development solution that will enhance their ability to perform their current jobs more effectively and begin the process of grooming them for senior leadership roles within the MFI. We were a diverse team: an Indian-born leadership expert from the Center for Creative Leadership; a partner at Bangalore, India-based CoCoon Consulting; a former Fast Company writer who now heads the social innovation practice at Continuum in Boston; an envisioner, also from Continuum (on her first trip to India); Grameen Foundation’s India representative who grew up on a farm more than 60 miles outside of Delhi; and me, a former corporate HR leader.